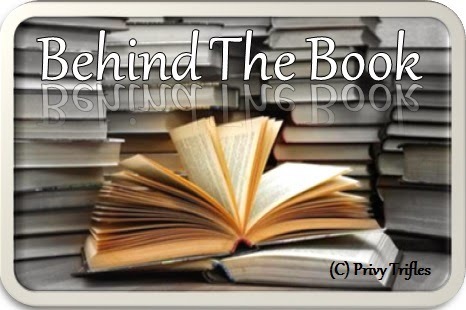 Being a blogger and a book reviewer is a lot of fun. You get to not only review some amazing books but also get to interact with some amazing authors and maybe get a chance to befriend them. Over the last few years of blogging I have managed to meet some wonderful people and learn a lot from them. 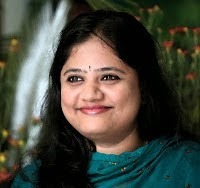 One of them whom I can proudly call my friend is Arti Honrao who blogs at Straight from the heart and is also an author. You can read my reviews on her books HERE. 1. Straight from the heart – how did it all start? The name, the idea, the concept. From there to here. For a long time all my writings were offline, written in pen and paper style. I had just started compiling my work in documents and I was searching for online websites where I could share my writings with people. As most of us do, I searched Google and that’s how/where I was introduced to blogs. I had to read a couple of blogs to actually understand the whole concept of blogging. As far as the title is concerned, I did not have to think much about it because that’s how I write “Straight from my heart”. During the earlier stages, SFTH was not just about poems/stories. It is over a period of time that I stopped writing non-fiction personal stuff on SFTH and dedicated the blog entirely to Literature. 2. You have been blogging since a long time and have 3 books published so far. How does it feel looking back the journey from here? How does it feel? It feels good :) Looking back from where I am standing right now, Of course I feel that I have come a long way and also that I still have a long way to go. But, honestly speaking, at times I miss the old days when even though I did not have wider range of readership, there were a few readers who visited my blog regularly and left comments. We were like an online version of closely knit family. Then came the time (twitter and facebook days) when blogging kind of slowed down. People got busy elsewhere doing other things. I am glad that people are turning to blogs again. 3. It is said that every blogger cannot be a writer and every writer cannot be a blogger. Your thoughts in it. 4. All of your published works though distinct in their story line have females as the main protagonists. Was that intentional? Not really, I have written stories where the main protagonist is a male. Yes, I admit that I find it much easier to write from female’s point of view however, it is not intentional. Recently I have attempted writing from point of view of both male and female protagonists. Take my Novel for example. In Resemblance I have written one chapter from male protagonist’s perspective while another chapter tells you about what the female protagonist feels about that situation. 5. You explore human relationships in almost all of your writings. Any specific reason behind it? That’s how it is, Privy! There is no specific reason behind it. For a long time I have been able to understand human emotions, which to some extent has surprised even me. Since I write straight from my heart, my writings are the way they are. In fact, readers of my bloggers, after reading my poems and short stories often email me sharing their personal matters with me. Some just share knowing that I will listen without judging and some ask for advice knowing in their heart that I would be able to help them find the answers. That is how “Whispered Words” section on SFTH was started. Being able to patiently listen to what they have to say and offering my views means a lot to me. When readers write to me about how my words influence them, I feel happiness, love and content in my heart beyond description in words. 6. If given a chance is there anything you would like to go back and change in any of your books today? I would not change anything as far as the plot is concerned or about the way I have stressed on the emotional aspect rather than describing the character and/or a scene. Because, like I have mentioned many times earlier - Instead of writing about the color of lipstick the female protagonist wears, I prefer to write about how her lips quiver as she tries desperately to hold back the flood of tears from flowing out of her eyes and revealing her weakness to the person she wants to hide it from. Yes, maybe I would work on the language a little because I have improved and grown as a writer. 7. Would you please share your journey to becoming a published author? How did it all happen? 8. One thing that you love the most about writing and one thing you hate the most. Writing keeps me sane. It makes me happy … it allows me to love and be loved by being one with the characters … it brings out the best in me. I would like to quote Isaac Asimov here - I write for the same reason I breathe - because if I didn't, I would die. What I hate the most? On one hand it brings the best in me and on the other hand it brings out my worst. There are times when I am depressed and I write pessimistic articles and letters (which I discard later on, but for a brief moment they make me miserable and vulnerable) those are the only times when I hate being able to put feelings into words. 9. Your favourite author and why? Just one? It would be Nicholas Sparks, then. Otherwise, I have quite a few favourites. Basically, authors who write in such a way that does not just make you think but makes your heart go through each and every emotion they are describing, can be said to be my favourite. Not many are able to do that. An author might have numerous books being sold as bestsellers but for me he/she is ‘the best’ if they touch my heart. 10. In today’s times you see the value of love and relationships depreciating. How does it feel especially when you write about it so much making them seem so surreal? It hurts, Privy. It really hurts. I don’t know what more to say about this. Most of my poems are the happy ones, focusing more on the positive aspect of a relationship but a few short stories of mine are about the hardships faced in a relationship, about the behind the scene reality of happily married couples and I cannot tell you how I feel when I get email from readers saying that they relate to the story so much. I hope and pray at times that I do not get such kind of emails for such kind of stories. I was shocked by the couple of emails I received by readers after reading my short story titled ‘And … there was no pain’. 11. If asked to describe you in a word what would that be and why? 12. Any worst book you have read till now? 13. Could you please tell us something about your upcoming projects? As a writer, I am currently writing only short stories though I have an idea/concept for another novel.. Might start working on it in 2014. 14. One thing you would like to tell all those aspiring authors who dream of being there someday? Write, write and write. Keep writing. However, write for yourself rather than for audience. When you write for yourself, you are being true to yourself and that is when people will really like you and truly appreciate you for what you are. Write for audience and you might end up losing the real person, the real you. Thank you so much Arti for being here today, I truly appreciate it. And wish you all the best for all your future projects. I already feel quite inspired by her words. And thanks for the last point. That really is an encouragement. She is a true inspiration dear in every sense.. hope you enjoy reading her! !